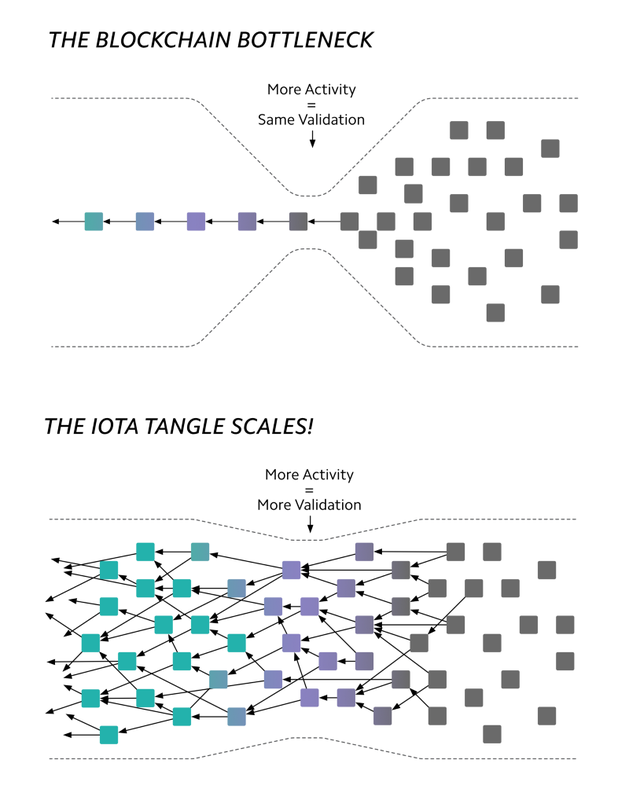 IOTA is a next generation permissionless distributed ledger that utilizes a novel invention, called “Tangle”, at its core. The Tangle is a new data structure based on a Directed Acyclic Graph. As such it has no Blocks, no Chain and also no Miners. This radical new architecture enables things in IOTA work quite differently compared to Blockchains and other Distributed Ledger Technologies. Each transaction is represented as a vertex in the graph. When a new transaction joins the tangle, it chooses two previous transactions to approve, adding two new edges to the graph. Apart from the data structure, the other major difference is how IOTA achieves consensus and how transactions are made. As mentioned previously, there are no miners. What this means is that each participant in the network that wants to make a transaction has to actively participate in the consensus of the network by approving 2 past transactions.This attestation on the validity of two past transactions ensures that the network achieves consensus on the current state of approved transactions, and it enables a variety of unique features that are only seen in IOTA. In Tangle, transactions are linked to each other like a big web tangle. Their is no concept of blocks. Each transaction will be verified by a little PoW by the originating device. It will link the transaction further to two more random transactions. It solves the bottleneck in traditional blokchains.